Rolwaling is one of the most awesome region in Nepal. It will give you an incredible experience into the wild. Your efforts will be amply rewarded by the beauty of the place. 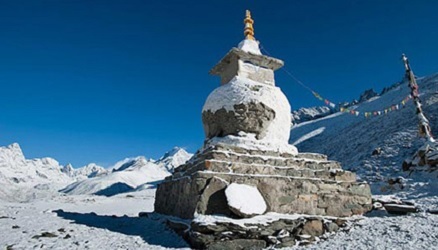 The Rolwaling is situated in east-central Nepal along the Tibet border and lies between LANGTANG and EVEREST ranges. 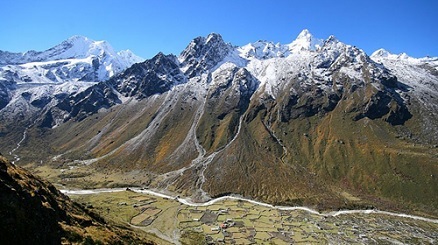 It is between the Dudh Kosi river that flows in the Khumbu valley to the east and the Bhote Kosi river that flows from Tibet to the west. 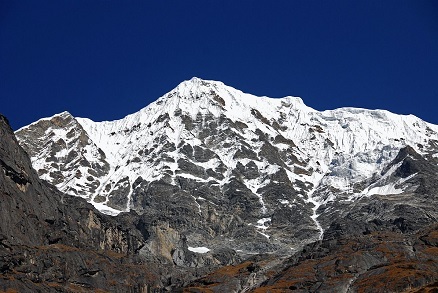 It has some 7000 m summits, like Melungtse at 7181 m, the higest, and Gauri Shankar at 7134 m and also some 50 additional peaks over 6000 m. The highest part is called Rolwaling Himal and it is bounded on the south by the Rolwaling valley which contains several small villages, and Beding which is the largest one. 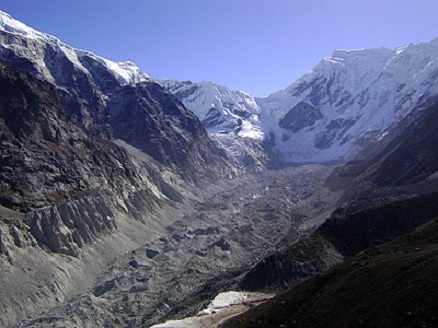 The Tsho Rolpa is an awesome ice lake held back by terminal moraine, the largest Glacier Lake in Nepal. The Trashi Lapsa La pass at 5755 m goes through these mountains by the footslopes of Patchamo and is the join between the Rolwaling and the Khumbu, allowing to go down to Thame, 4 hours walking from Namche. On the slope of the Rolwaling Peak, the famous British mountaineer, Eric Shipton, first photographed Yeti footprints in 1951. The flora and fauna in the Rolwaling are very diverse as it starts in a green area and ends at a very high pass, following glaciers. 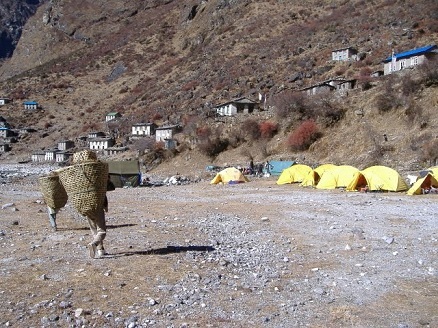 The valley is inhabited by a small Sherpa community based in Beding (3690m). The last habitation is at Na (4180 m). This area is mostly used by Buddhist people However, we can also see the Brahmin, Chhetri, Tamang and Sherpa villages and theirs life style. Mount Gauri Shanker is a holy mountain and a source of Bhote Kosi River. Going up this valley then crossing the Trashi Lapsa La pass then descending the Khumbu to Lukla requires a minimum of 18 days. 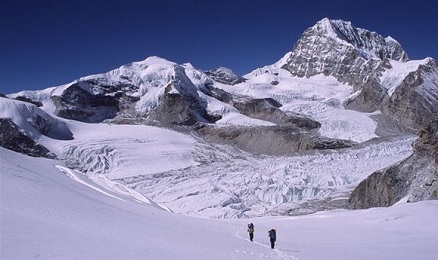 This trek is well known as the hardest Nepali trek. From Dolakha the trail follows the Tamakoshi river on the way to Simigaun. From Simigaun, the trail turns right along Rolwaling Khola that runs deeply below ahead, it is a part old trade route to Tibet. - Day 1: Kathamndu to Dolakha by bus (6 hrs). - Day 2: Dolakha trek to Singuti (6 hrs). - Day 3: Singuti trek to Jagal (6 hrs). - Day 4: Jagat trek to Simigaun (6-7 hrs). - Day 5: Simigaun trek to Doldong (5-6 hrs). - Day 6: Doldong trek to Beding (5-6 hrs). - Day 7: Beding trek to Na Gaun (5-6 hrs). - Day 8: Rest day in Na Gaun and side trek around. - Day 9: Na Gaun trek to Tsho Rolpa glacier lake (6 hrs). - Day 10: Tsho Rolpa glacier lake to Khaboo Glacier (5-6 hrs). 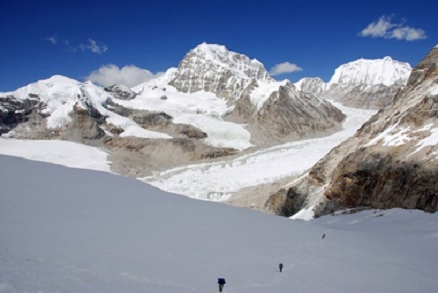 - Day 11: Khaboo Glacier to Thyongbo (8-9 hrs). - Day 12: Thyongbo to Thame (1-2 hrs). - Day 13: Thame to Namche (4 hrs). - Day 14: Namche to Lukla (7 hrs). - Day 15: Lukla to Kathmandu by flight (1 hr). 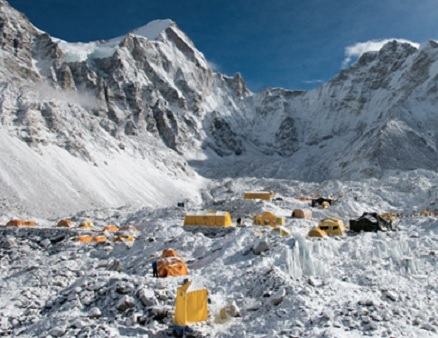 Technical mountaineering skills and equipment are required for this incredible trek. 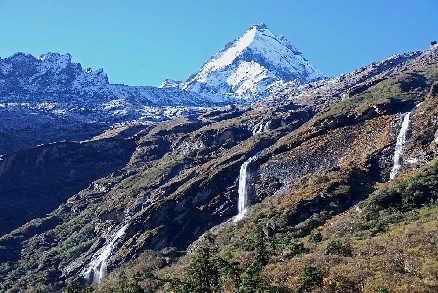 Rolwaling trekking is one of the best non-tourist trekking destinations for adventure. The preferred approach is to walk in from the bus terminus at Dolakha near Charikot (about 7 hours from Kathmandu). There is not tea house or lodge facilities available and all treks operate in camping style only.